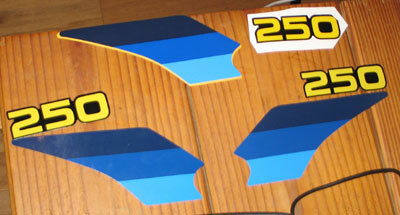 Set of two side panel stripes with call-outs for 1982 RM125Z, RM250Z & RM465Z. These are made to closely match the OEM versions. You can see a side by side comparison in the photo with the originals on top and the reproduction at the bottom. Please choose 125, 250 or 465 from the drop down to order.